Mia is the mother of three boys and has raised two stepsons. She lives in the north of Sweden, very close to the Arctic Circle. Mia has combined her experience, together her colleague Sylvie Hetu, to create the “Massage in Schools Programme” and introduced it into the UK in 1999. 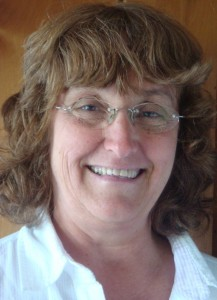 Sylvie studied nutrition in college in 1976 and graduated from Montreal University receiving a degree in education. She continued her studies, completing three years of training as a Steiner teacher (Waldorf education) in 1996. She worked for three years in a day care centre and three years in a primary school as a teacher. She is also a part time Waldorf teacher at the Rudolf Steiner school in Montreal, teaching nutrition and biology. She also created approaches in massage for toddler groups, day care and pre-school children with “L’Association pour la Petite Enfance au Quebec”, an association supporting children under 6 years old. Sylvie did volunteer work in two hospitals in Montreal with babies and children who were ill. She also did volunteer work for “Alternative Naissance”, a support centre for parents for 10 years. She founded “Au Coeur de l’Enfance” in her province in 1996, which consists of services and resources in education for parents and educators.This was inspired by the Waldorf approach.